The Montana Rib Panel System is created as a reversed box rib panel with wide valleys and tall, prominent ribs. When tested against wind and hail, this panel rated highly in both categories. 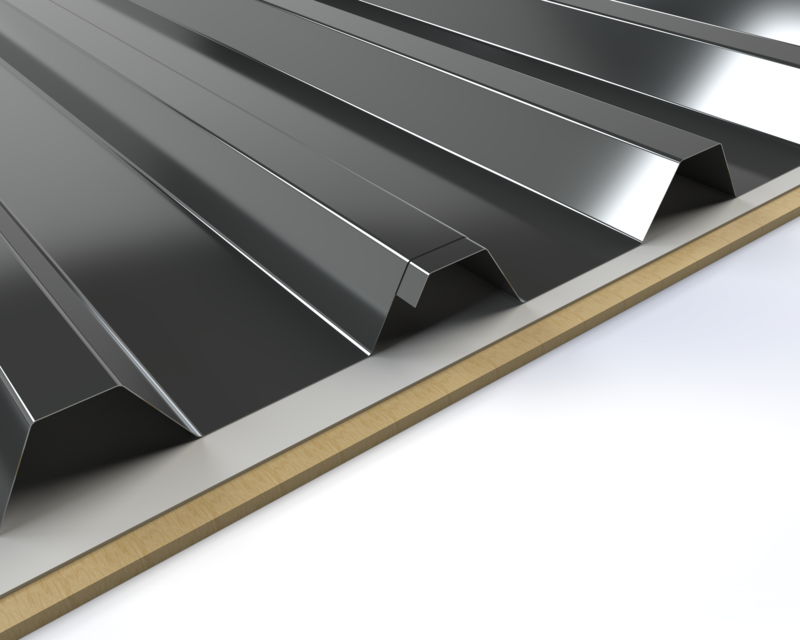 As a siding panel the Montana Rib Panel works well due to the unique lines it creates compared to other panel systems. This panel is currently available in bare metal options, Galvanized, Galvalume and A606 Weathering Steel. Suitable for regions prone to high snow volume. Suitable for regions prone to high winds. Suitable for regions prone to extreme temperatures. Can be used as a decking panel. Substrate: Plywood substrate material shown. Can be installed over open framing. Warranties are based on paint systems. Contact a Bridger Steel team member for warranty options.